I’ll never forget the first day I stepped into my local Bar Method studio. I was nervous as I hadn’t been in a fitness class in over 2 years. I had been sedentary for the most part during those 2 years because of chronic back pain during pregnancy which resulted in back surgery when my son was just 12 weeks old. A year and a half after surgery though, I still felt weak, and was very nervous I’d never feel comfortable again. That’s when my chiropractor invited me to join her at a Bar Method class. She told me it would strengthen my core which is what I needed to do to heal my back and prevent further injury. I walked through the doors on a cool December morning not knowing how much one hour was going to change my life. It’s been over two years now, and to say I’m a Bar Method addict is an understatement. How could you not love something that healed your body? 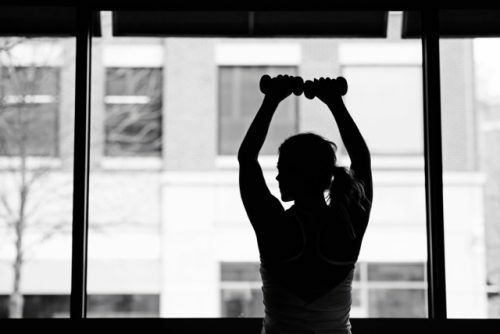 How can you not love a workout that has made you stronger than you ever dreamed possible? How can you not love a community that has been there rooting for you since you walked in on day one? Why do I keep coming back to The Bar Method? Because it’s changed me, from the inside out. I no longer live in chronic pain. I no longer fear my back going out and having to rest and heal for several weeks before I could return to normal. I no longer fear needing a second back surgery because I know my body is strong, and that is because I make my Bar Method workout a priority. 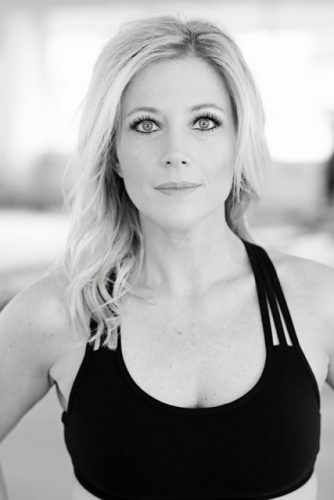 The Bar Method community has also become incredibly valuable to me. They remember who I was when I walked in the door. They have watched my journey evolve the last two years and are now supporting me through pregnancy as I continue to make my workouts a priority. I come back to Bar Method because you don’t have to be an athlete. You don’t have to be a ballerina. You don’t have to have any dance experience. You don’t have to already be in shape. You don’t have to be anything besides yourself. And that’s the kind of community I am so thankful to be a part of. There are many different reasons that people walk in the door of a Bar Method studio. We all have our own why. We all have our own reasons for making this workout a priority week after week. My hope is that the more people I share Bar Method with, the more people will fall in love with the workout. Because working out shouldn’t feel like punishment. It should be enjoyable! I love coming to class and look forward to the people I get to “shake” with! When I finish a class I leave the studio feeling strong, empowered and motivated. There are times during class when coming out of a position would be far easier than staying in it… but I try not to. I remain focused on my why, and why I choose to challenge my body. I remind myself that I am stronger than I think I am and I prove that to myself every single class. And when I leave class, I am already looking forward to the next one. This is why I keep coming back to Bar Method. It’s become like home to me and made me appreciate my body more than I ever have before. Amy is a Bar Method Kansas City client, wife, mother, blogger, and so much more. Check out Amy’s blog & Instagram for more on her beautifully broken journey to health and happiness. Experience the same life changing workout as Amy and find a Bar Method studio near you.